Decided to weave a story of a place/meet/incident from each of my journeys.... 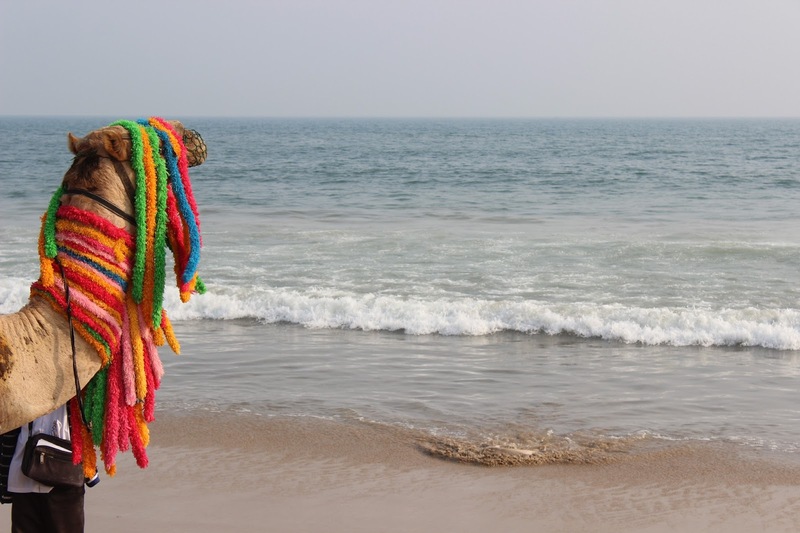 These two photographs were clicked at Puri Beach during my visit to Bhubaneswar in Jan. This stretch of the beach was quite empty.. A man standing nearby told me this was almost like a private beach, used by only those who stayed at one of the properties around here. The beach seemed like an endless one, and was quite clean. There were a few visitors, some sitting in circles under a canopy. Near one such was where this camel was parked, yes I say parked cos there was an attendant standing nearby ready to pull down the ladder strapped to the camel and take whoever was interested on a stroll along the ocean. 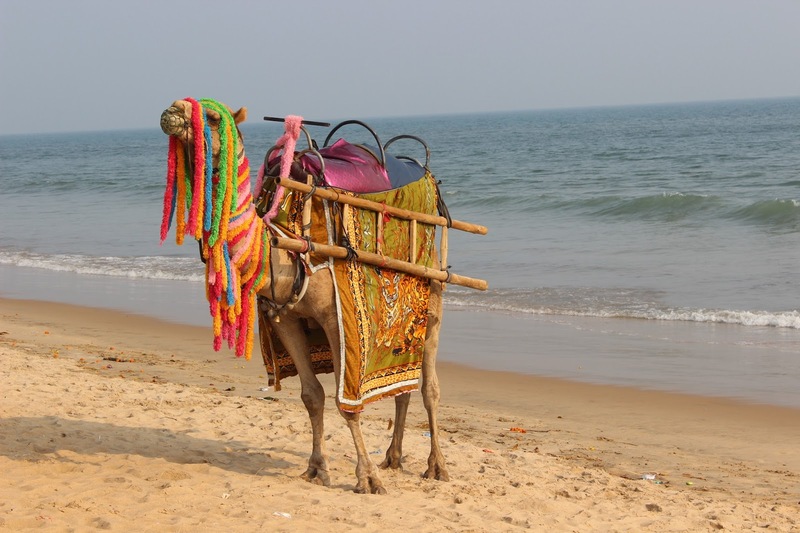 Within minutes a newly married couple from a group came forward, got on the camel and began clicking selfies before being whisked away for a short walk... And upon their return, the ladder was pulled out to the sand and they got down from the camel. So cool! I never tried camel ride before.